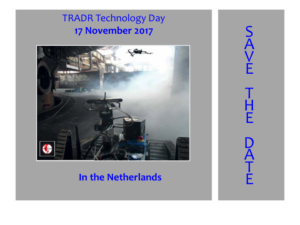 On behalf of the consortium of the European project TRADR (Long-Term Human-Robot Teaming for Robot Assisted Disaster Response) we are pleased to invite you to participate in the Robot-Assisted Disaster Response Technology Day organized by the Gezamenlijke Brandweer, Netherlands. The TRADR Technology Day is part of the European Robotics Week. 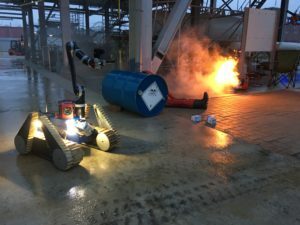 Real disaster response is time-critical and extremely stressful: the use of robots functioning as proper team members has the potential to reduce the workload and the stress of the humans and to take over dangerous tasks. TRADR develops technology for human-robot teams to assist in disaster response efforts, using ground and air robots, in realistic missions spanning multiple days. We address a range of issues, from motion, navigation and mapping in complex changing environments, to human-robot team mission management support. End-users, first responders from the Italian Firecorps, the Firebrigade of the City of Dortmund in Germany and Gezamenlijke Brandweer in the Netherlands, are involved in the TRADR development cycle, from design to prototype testing. They provide input and feedback, experience the technology and become aware of its potential and current limitations, to in the end facilitate its uptake. During the Technology Day we will show our achievements and share insights gained during the 4 years of the project, including experience from the TRADR deployment in Amatrice, Italy, shortly after the earthquake in 2016, as well as the industrial use case experiments carried out in 2016 in Dortmund and in 2017 in Rotterdam. The program will consist of presentations and posters on TRADR scientific results and practical experience with the use of robots, a demonstration of the TRADR integrated system and panel discussion. 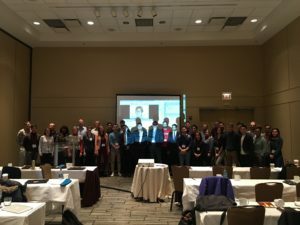 The Technology Day is intended for a broad range of stakeholders including industry, end users from firebrigades and other responders, academia as well as interested general public. To register for the event and for more information please click here. Please register online at your earliest convenience as we will close registration upon reaching our maximum capacity. Accommodation: We recommend the Hotel Bastion Rotterdam Zuid that is located near the venue. Public transportation: please see here. Thank you for your interest and looking forward to welcoming you on November 17th.